With Installations starting from $499 for Brisbane Metro there has never been a better time to buy. Which Air Conditioner Type to Choose? Wall Mounted Splits: Offers the Best Price, lowest running costs and the easiest maintenance, these are usually the ideal option for most homes. Ceiling Cassettes: Offer an unobtrusive design that's best for main living areas, can be placed strategically in the center of the room for best results. Ceiling-Floor: Like Ceiling Cassettes, these have a unobtrusive design for those areas where a wall mounted split won't work (i.e. glass walls). Multi Head Splits: Are more expensive than Wall Mounted Splits, but are best for apartments with limited room to position a compressor. Ducted: The highest price but the least intrusive of all air conditioning models where ducts are run through the ceiling to each room. Stylishly designed to be installed on a wall. 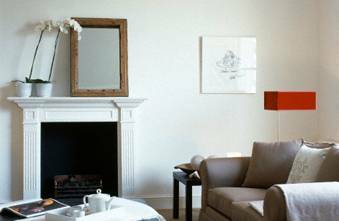 Efficiently cools or heats a single room. The most popular type of air conditioning unit. High efficiency low cost. 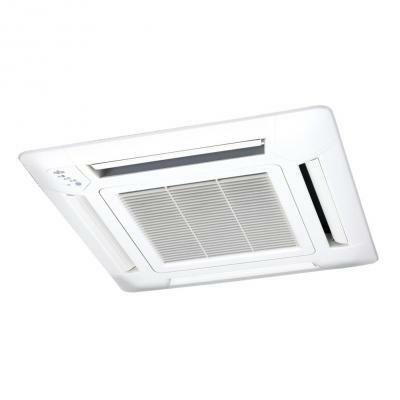 Incorporating the latest fan technology, these units fit neatly into the ceiling and distribute conditioned air through 2, 3 or 4 sides of the unit. In addition, flaps allow air to be directed in either a pre-set or sweep pattern. Possible to set different on-off time by day. Possible to set on-off time twice a day. Possible to set time by 5 min. The timer operation of a reserved day can temporarily be cancelled by pushing the �DAY OFF� button. Time setting can be left until the next day. The system can also be manually overridden. All models have Fan Operation modes which helps circulate air to all corners of your space, providing great comfort throughout the room. With a slim and lightweight design, these models are ideal either for ceiling or floor installation without modification. 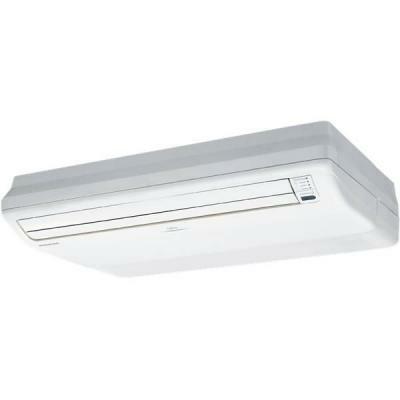 Extremely quiet and energy efficient, they are ideal for residential or commercial situations. These models allow for flexible installation either sitting proud from or semi-concealed from your ceiling or wall, to a style which best suits the needs of your space. Size is important but especially for Air Conditioners in Queensland. Our tropical climate brings ensures plenty of humidity which makes sizing the Air Conditioner more difficult. An Air Conditioner works in two unique ways to keep you cool and comfortable. Firstly, it will blow cool air into the room, bringing the temperature down. Secondly, air conditioners are designed to remove moisture from the air to ensure that your home is not only cool but also comfortable. This aspect is particular important in Queensland as humidity is a significant aspect of the summertime heat we all experience. This has implications when determining the correct sized unit for your home - selecting a unit that is too large will cool the air faster than it removes the humidity, allowing excess moisture to build up in your home. Using our Quote Builder will ensure that your choice is perfectly suited to your home, your next consideration is selecting the right style. Split Systems: These are the most common type of air conditioners consisting of a head unit and a compressor. The head unit is mounted on the desired wall and connected through to the compressor which is located outside, either directly on the floor or raised up on brackets. Split systems are very popular due to their versatility and affordability with units designed for almost any sized area. Fujitsu offers Reverse Cycle (Lifestyle Range) and Cool Only options as well as the stylish Designer Range for a sleek modern look. Multi Head Splits: Multi Splits involve running multiple head units via one compressor or outdoor unit. Generally this works better with smaller rooms as larger units often fair better with a dedicated compressor. Multi Splits can consist of a variety of different styles provided that the compressor is of a sufficient capacity to power them. Cassette Units: These are an ideal solution for rooms with no available wall space or where there is limited ceiling space for a ducted system. Additionally, Cassettes allow air to be dispersed in multiple directions- allowing for effective cooling. Ceiling/Floor Range: Floor and ceiling consoles utilise their form to be able to go whether other units cannot. Whether it be under or above windows, concealed spaces or just a tight spot - the Ceiling and Floor Consoles give you flexibility when you need it. Ducted Air Conditioning: If you're after a comprehensive solution for your whole home, look no further than a ducted system. These are a customised solution and the circumstances are different for each home so give us a call and we can arrange and inspection. 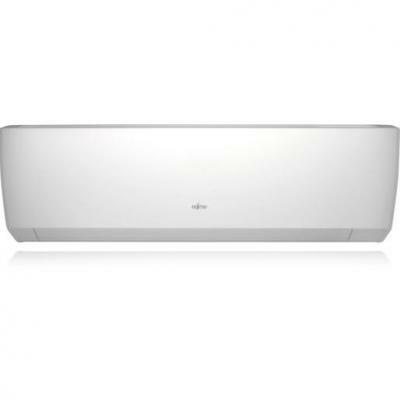 Fujitsu are at the forefront of air conditioner technology and as such they offer state of the art features on all units. Remote controls come with a programmable sleep timer function as well as air filters which act to remove harmful smoke, germs and odours from the air in your home. The Energy Rating Labeling Scheme applies to all conditioners and each unit to give a star rating out of ten to compare their efficiency ratings. 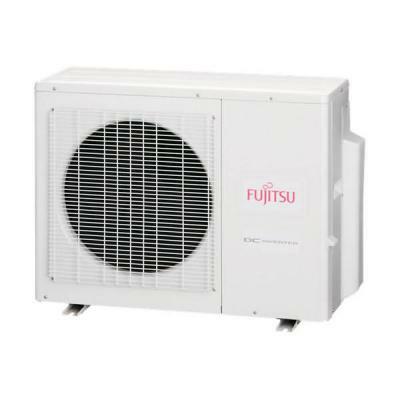 Fujitsu's inverter technology give a higher efficiency rating due to their ability to intelligently regulate temperature without requiring to continually stop or start - it's for this reason that all Fujitsu Air Conditioners qualify for the Peak Smart rebate. The installation of air conditioning is a highly technical process and is something best left to the professionals. Australian law required that a licensed professional install air conditioning units as they have been independently trained and assessed on handling refrigerants. 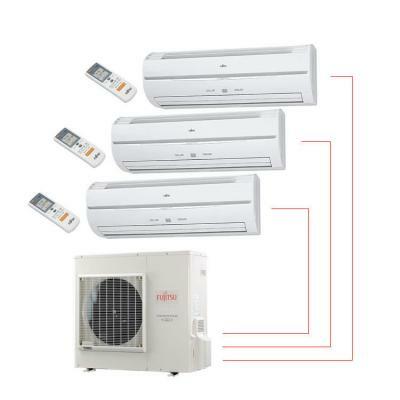 Fujitsu provides a 5 Year Full Parts & Labour Warranty for all domestic Air Conditioning systems sold in Australia so if the installation has been done professionally and something goes wrong, you will be covered under warranty. We have been installing air-conditioners for over 10 years and work independently with a team of experts to ensure that the job is done right every time.